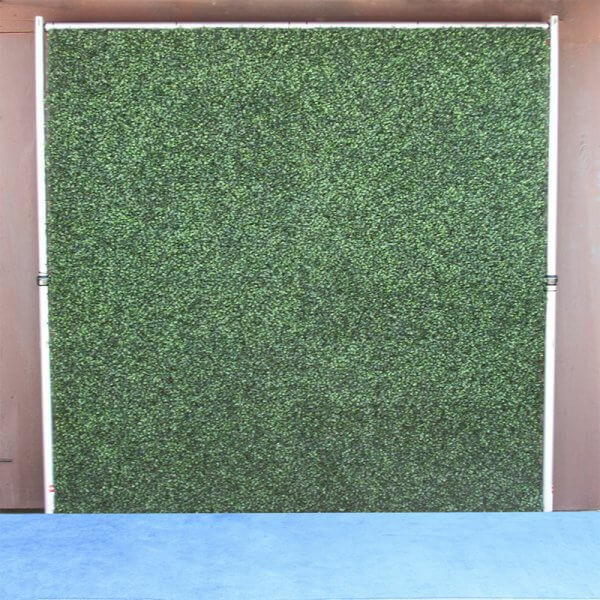 Artificial hedge wall 3′ x 4′ rental which can be delivered to your venue within Los Angeles County. 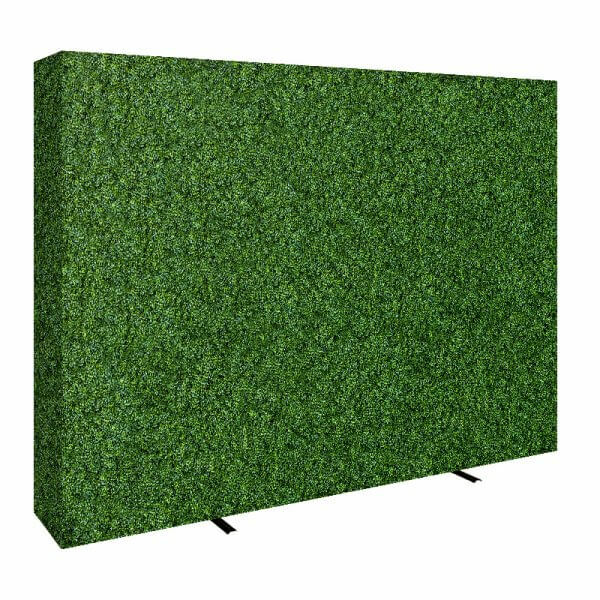 Please select quantity of 3′ x 4′ walls you would like below. These vibrant hedge walls are a wonderful way to infuse more life and greenery into dull event areas. 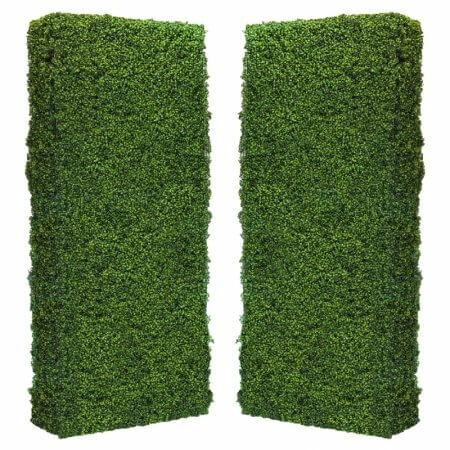 These hedge walls are for rental only. They are not in a planter box, but instead are self-standing. The dimension are 3′ tall x 4′ wide. 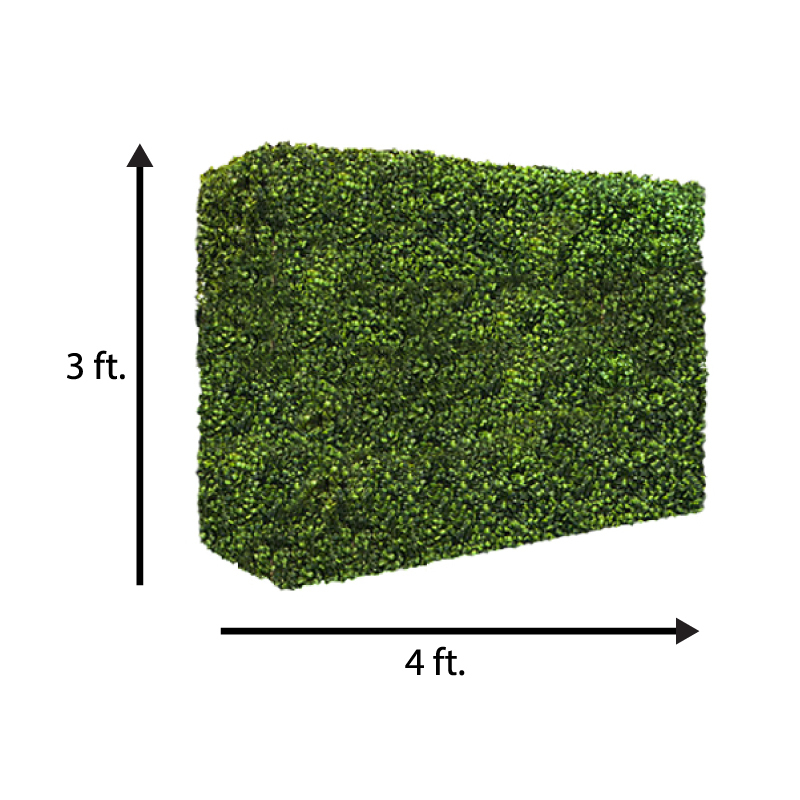 Order more than 1 hedge wall to create a walkway or hide an area. 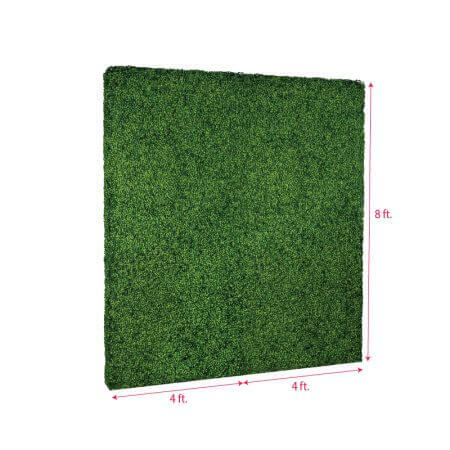 Boxwood Hedge Roll Mat on Frame 8' x 8' Hedge walls are becoming very trendy for event photo ops and this is a portable, budget-friendly option! Includes: (2) 8' x 4' Hedge Roll Mats (1) 8' x 8' Pipe and Base Frame with two carrying bags for bases & poles A batch of zip ties (This setup will be delivered in 4 packages.) Dense, lush and realistic to hide ugly areas or create an aesthetic backdrop! 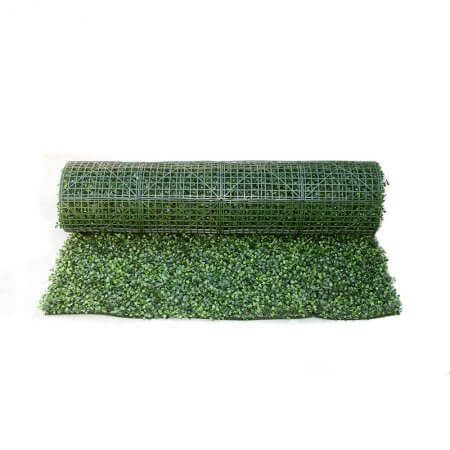 Foliage hedge rolls are designed for flat or contoured ceilings and walls, for both interior or exterior applications. Packages as a modular 4’ x 8’ roll, the Roll is an innovative product when considering that, for all intents and purposes, it is a “plant wallpaper”. It is flexible enough for curved surfaces and can be cut to fit almost any space. 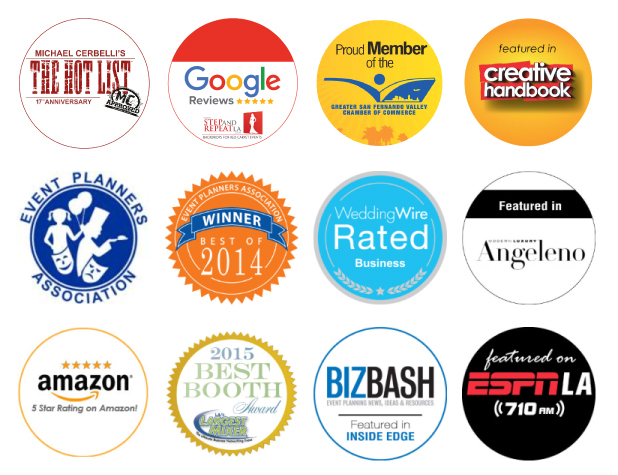 To date, it has been used on walls and ceilings and facades of many bars and restaurants. It has been tiled to serve as privacy hedges, has been shaped into hotel pool cabanas, has dressed up large commercial heating and air conditioner units, and more. 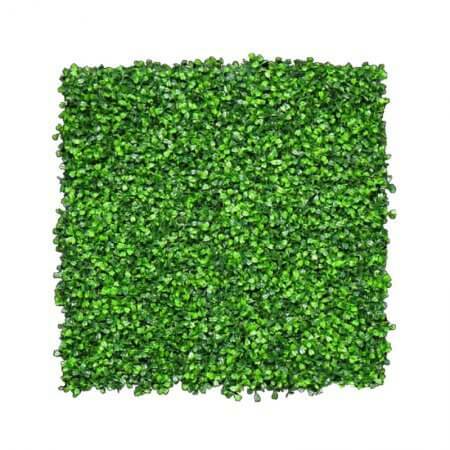 This 17" x 24” Modular Foliage Panel is designed for flat or contoured ceilings and walls, and for both interior or exterior applications. 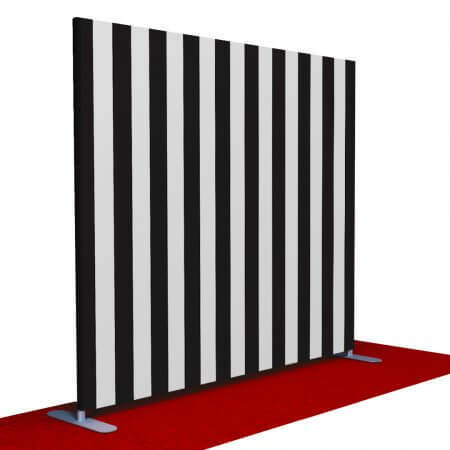 It is flexible enough for curved surfaces and can be cut to fit almost any space. To date, it has been used on walls, ceilings, and facades of many bars and restaurants. It has also been used to serve as privacy hedges, has been shaped into hotel pool cabanas, and dressed up large commercial heating and air conditioner units, and much more.